When on Memorial Day weekend, 2012, a long-standing recording session at Mason Jar Music was cancelled at the last minute, MJM co-founders Dan Knobler and Jon Seale decided to make the most of the lost time. Inviting a handful of artists & musicians from the burgeoning Brooklyn indie-folk community into the studio, they set out to pay tribute to some of their favorite American music. 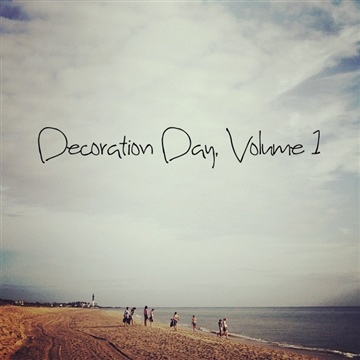 The result was Decoration Day, a six track EP of songs written over a 200 year span of American history. Carrie, Katrina, Flearoy, Fats Domino, Sam Cooke & The Soul Stirrers, Billie Holiday, Cheap Trick, Georgia Field Hands, Levon Henry, Brian Cooper, Ray Mason, Darius Jones, Aimee and Andrew Janzen. And a big thank you to Zack, Sammy, Billy, Shannon, Connell, Jake, Nathan, Sam, Anais, Kris, Brittany, Cameron, & Tift for lending your time and talents.